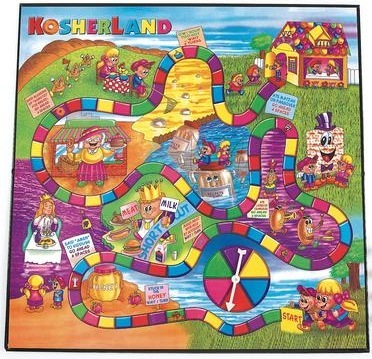 Expert Review of Kosherland Board Game by Jewish Educational Toys, one of our picks of the top Jewish books for kids! Spin your way to the Kosher Home, don't get stuck mixing milk and meat together! One of our best selling board games. A great beginner's game. 2 or more players, ages 4-7. Game instructions are included. learn all about the many brachot!"